When people get older they often find themselves trapped in their homes and without the ability to travel and commute in the ways that they once did. Many elderly people give up their licenses due to deteriorating eyesight or because of an accident and find themselves trapped. This puts them in an uncomfortable position that often leaves them stuck and unable to leave their homes. Their relatives, often their children and grandchildren, sometimes find themselves severely put upon as a result of this need to take care of their elderly relatives by constantly driving them around and end up resenting their loved ones as a result of doing so. Further, many elderly people realize the way that they are imposing on their loved ones and therefore avoid asking them for transportation at all, except in emergency circumstances. It can be a real challenging situation for anybody and particularly for those who are accustomed to never ask for anything and have too much pride to do so. Luckily there are solutions to this dilemma in the form of non emergency medical transportation that are either privately owned and run or supported by various not for profit groups and governmental programs. These non-emergency medical transports are not ambulances but serve to help to transport elderly people around when they are in need of transportation. These trips involve allowing elderly people access to doctors offices, shopping for essentials such as food and medicine, trips to churches and other religious services, and visits to centers where elderly people can interact with one another. Many of these services are free, covered by insurance and other programs, or deeply discounted for those who are in real need of them. In addition to avoiding imposing on their loved ones, there are many other benefits associated with using these non-emergency medical transportation solutions. For one, they allow elderly people to interact with others either in community centers, churches, or other facilities and help to keep their minds and personalities fresh and without the side effect of possible mental deterioration as a result of not obtaining sufficient time out of their home and sufficient social interaction. Being active not only provides entertainment to the elderly but also helps to keep them interested in different things and helps to keep them healthier and happier. Further, it allows them to fulfill social obligations and their religious beliefs which they might be unable to otherwise fulfill. In other words, these transportation services allow them to continue on their lives including social obligations even when they lose their independence to do so on their own. In addition, being able to access regular medical services through routine visits to a doctor or other medical professional can help an elderly person obtain the medical services that they need in order to identify medical issues earlier and increase their ability to treat these illnesses, and to receive the required prescriptions that can help them. Being able to visit doctors and other medical professionals when you need them is essential when you get older. Finally, many elderly people are hesitant to give up their driving licenses due to the loss of independence that they may ultimately experience as a result of the loss of their car. This often leaves them driving when their driving skills have deteriorated which leaves them as a threat not only to themselves but also to other people on the road. By having a third party non-emergency medical transportation option available that they can rely on the elderly individual will commonly be more likely to give up their license and stay off the road where they may pose a real threat to others. As noted above there are a lot of benefits to the elderly of using medical transportation options, particularly those that offer non-emergency services. Consider these options if you are getting older or if you have relatives who you think would benefit from these services. Thank you for visiting our website. 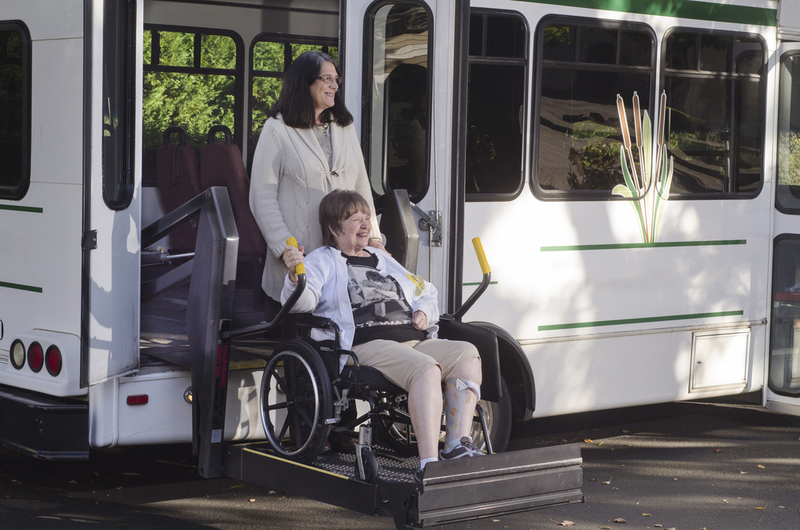 Medical transportation is very important and advantageous to patients and their families nationwide. We hope that you find the information presented on our website to be quite useful. Also, if you're interested in learning more, please feel free to contact us: info@ndmo.org.